AMMONNEWS - His Majesty King Abdullah on Monday received cables of congratulations from several leaders of Arab and Muslim countries on the occasion of the Hijri New Year. The King also received cables from the prime minister, Acting Senate president, House Speaker, president of the Judicial Council, the Royal Court chief, the president of the Constitutional Court, the Chairman of the Independent Election Commission (IEC), the Chief Justice, the Grand Mufti of Jordan, the Army Chief as well as directors of the departments of Intelligence, Public Security, Civil Defence and Gendarmerie, and from Amman Mayor and the Economic and Social Association of Retired Servicemen and Veterans (ESARSV), and a number official and public figures. 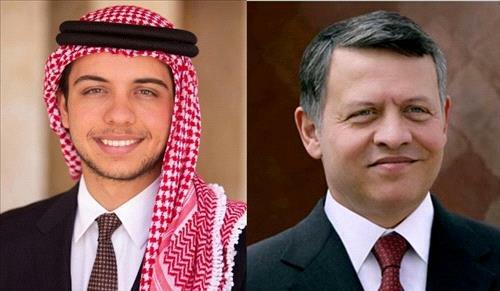 His Royal Highness Crown Prince Hussein Bin Abdullah II also received similar cables on this occasion.